Ask a Question . . .
Breathe deeply, focus on a question, set your intention . . . and when you are ready, click on a card below. The oracle will turn up three cards from the Gaian Major Arcana for you — one for the Opportunity in the current situation, one for the Challenge, and one for the potential Resolution. 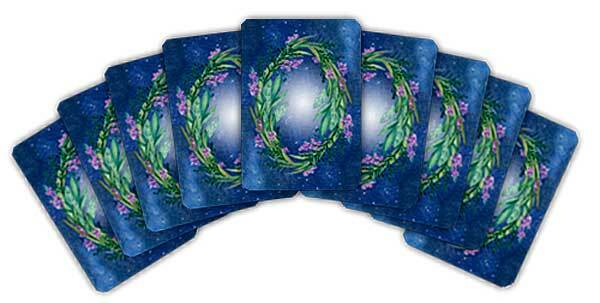 The cards will not necessarily “foretell the future,” but will give you clarity and inspiration, if you listen with a quiet mind and a humble heart. May the wisdom of Gaia give you insight and blessings . . .